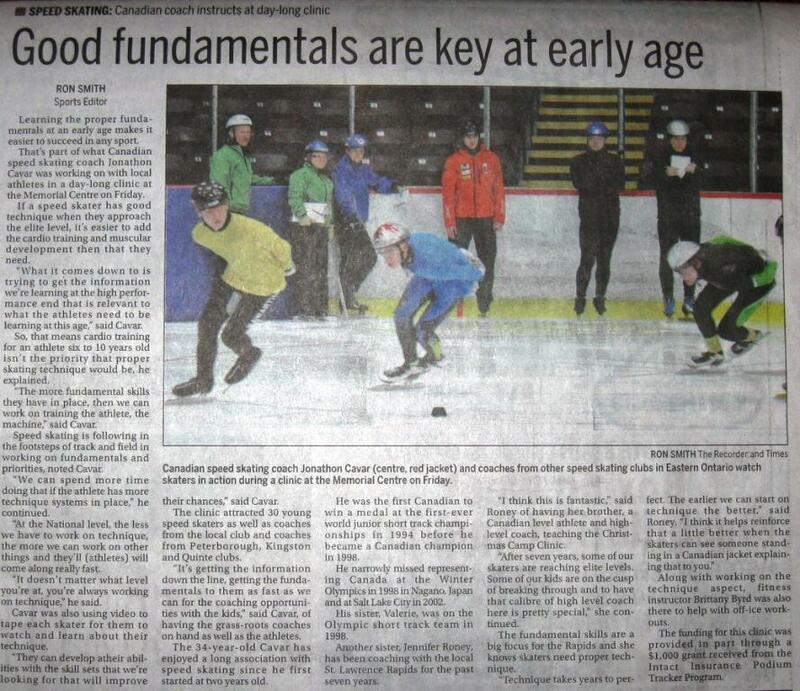 There was an article in the Brockville Recorder and Times today about yesterday’s Christmas Clinic with National Team Coach Jonathon Cavar. 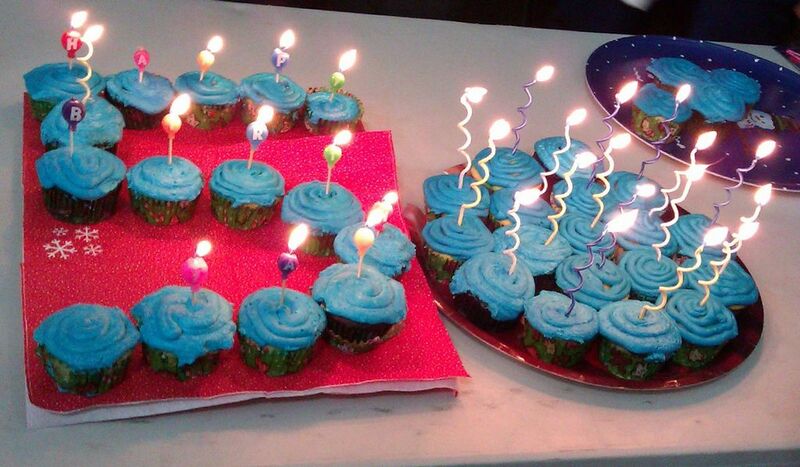 Thanks to everyone who helped make the day a success. This past weekend, eight club skaters participated in the O Cup #3 in Clarington. Here is the protocol as an excel file and a pdf file. Medals were earned by Alphonse Ouimette who was 2nd in the Junior Male division and Aidan VanBeek who was 3rd in the Pre-Midget Male. 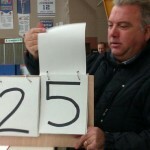 If adult masters want to swing by the rink to see what we are up to, you are more than welcome to watch from the wings. First group on ice at 8 am. Day will conclude at 4 pm. *Skater groupings to be determined yet as agenda gets finalized. Priority for the day will be on 1) coaches 2) elite skaters 3) developing skaters. A healthy balance will attempt to be achieved, but the day will fly by! Activities for any skaters off ice will be arranged. 1) Skates and skating clothes. Might want an extra sweater to stay warm on ice. 2) Running shoes and athletic clothes. We are in the hall for off ice dryland and discussion. 5) Coaches – An IPad if you have one – some video analysis will be done using these tools. Lunch and snacks will be provided. If you have special dietary concerns, please contact me in advance to discuss. 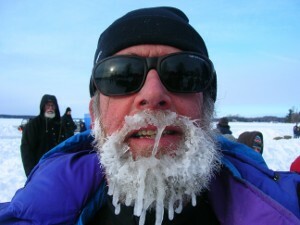 Lake Placid – Just on Time Ice Delivery! Lake Placid is the second event on the schedule of marathons under the auspices of Marathon Skating International. The first event this season was held in Quebec City in November with the traditional 10km, 25km and 40km races. Lake Placid almost did not take place this past weekend (Dec 17,18) as a result of the unusually warm weather. As of Thursday night Dec 15 the Lake Placid Oval (where Eric Heiden won 5 golds in all of the long track events in the 1980 Olympics) was still a dry concrete pad as it had been since last March. However, on Friday the weather started to turn and although not very cold, it was sufficiently favorable to begin ice making. Traditionally the 10 and 25 km events are held on Saturday morning but by the scheduled time there was only 60mm or so of ice. By mid afternoon it had been built up to about 150mm and it was decided that we could skate by 5:30 that evening. Credit goes to the ice makers and he who controls the weather – the temperature dropped to about -12C and the games were on. A large group partook in the 10 km including this writer and the ice proved to be very fast resulting in some very good times. After a 45 minute break the 25km was held and perhaps foolishly I was at the starting line for this race as well. I turned in a very respectable time and managed to beat two of my regular rivals from the Pacers group. I was able to pack with only two others for this race so with a couple of others my time could have been better and the magical 60 minutes eludes me by a whisker. The problem with two night races of 10 and 25 km is that they provide little recovery time for the next morning’s 40km and because of this some skaters did not skate the 40. Again, always wishing to get my money’s worth I signed up for the third long event in 14 hours. Once again I joined the Pacers group which rents a B and B for the weekend including many of our meals and of course the Saturday evening was the usual enjoyable social event with an excellent home prepared meal accompanied by appropriate beverages. It was a somewhat early evening this year due to the late events of the day and the dreaded 40km facing us in the morning. A glorious Sunday morning it was with temperatures at -15C, sunshine and no wind. 38 were at the starting line for the event and ice conditions were almost perfect (ice a little too hard due to the cold). 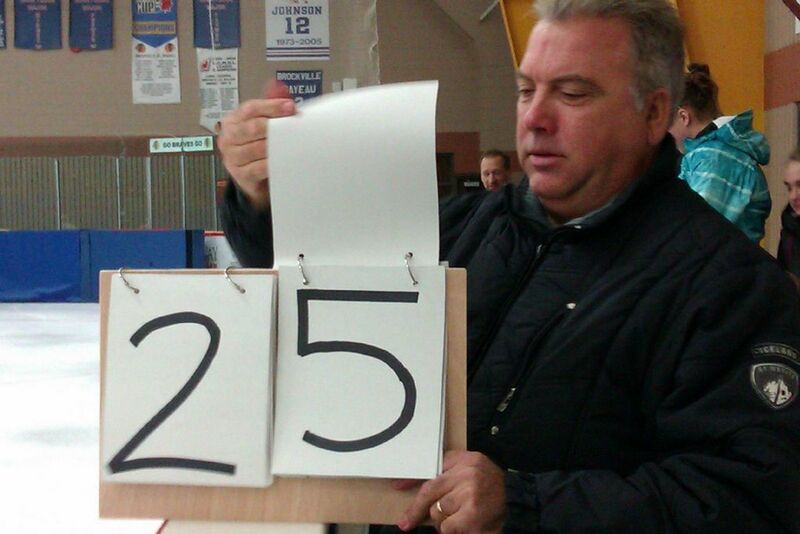 I started off with a pack of 5 skaters and this grew to 8-10 skaters during our 95 minutes or so on the ice. The race was won by Constant Montpellier of Montreal in the final lap (of 100 laps) when his main rival, Glen Corso of NY stripped the edge from his blade in the last corner and slid out of contention for the winner’s circle. It was a beautiful day and even the drive back home was enjoyable although one had to fight to keep awake. I was very pleased with my showings in all three races (three second place finishes in my ancient age group that was well represented). Everyone should have the opportunity to enjoy this historical ice sheet located in the middle of the town of Lake Placid. The SLSSC masters group has talked of a weekend trip to the venue and I would suggest sometime in Jan or Feb we do just that – but not just masters. We should get as many families from the club as possible to have an enjoyable weekend of skating, skiing and shopping. 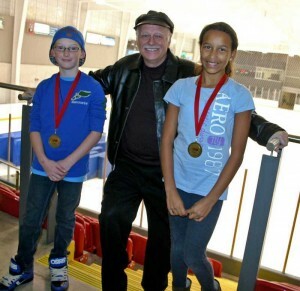 Ontario Cup Speed Skating Gold Medalists Aidan Van Beek, of the St Lawrence Rapids, and Aliya Howard, of the Kingston Striders, are congratulated by Newmarket Mayor Tony Van Bynan following their victories at the Magna Centre on November 19-20. 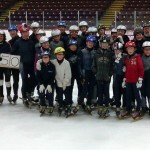 The St Lawrence and Kingston speed skating clubs are joining forces to host Ontario Provincial Championships in Kingston on February 25 and 26, 2012. 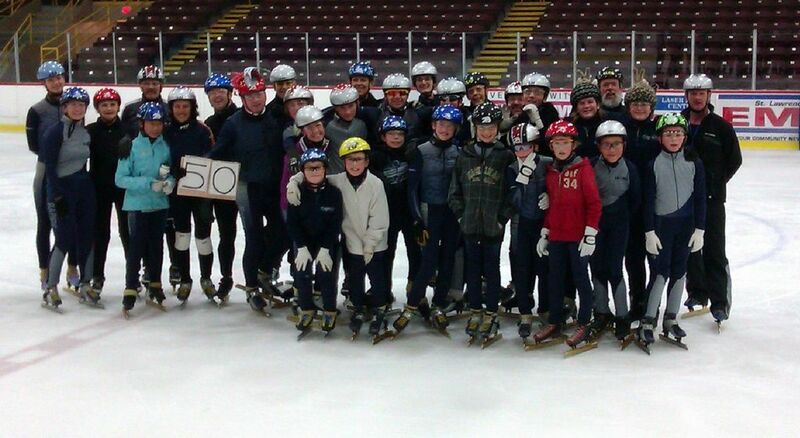 For Kyle’s 50th birthday the club had a 50 for 50 skate. 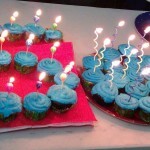 Good times and cupcakes were had by all. 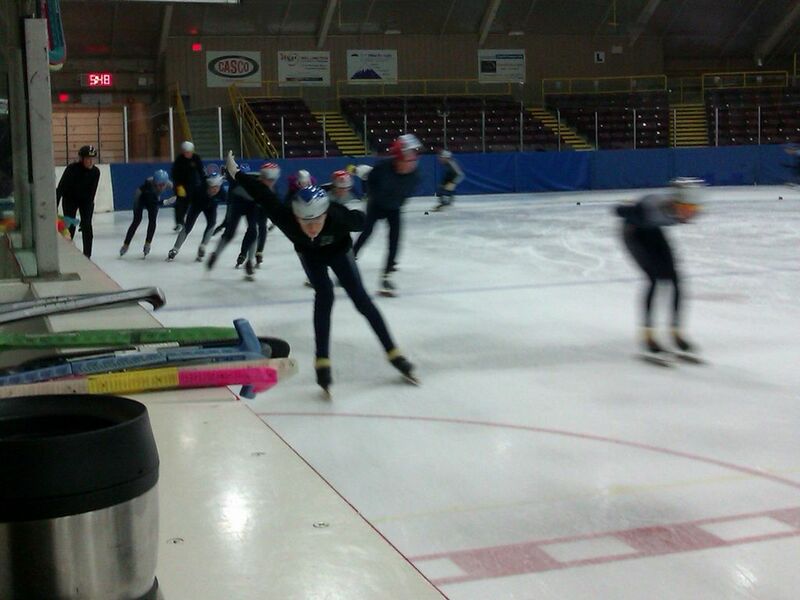 Jonathon is a National Short Track Team Coach at the Calgary Olympic Oval. 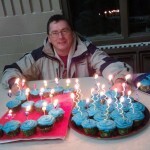 He was a Canadian short track coach at 2010 Olympic Winter Games, and co-coach of the silver medalist women’s relay team. He is a charter member of Professional Coaches, an NCCP level III coach, and has a degree in Exercise Science from Concordia University. 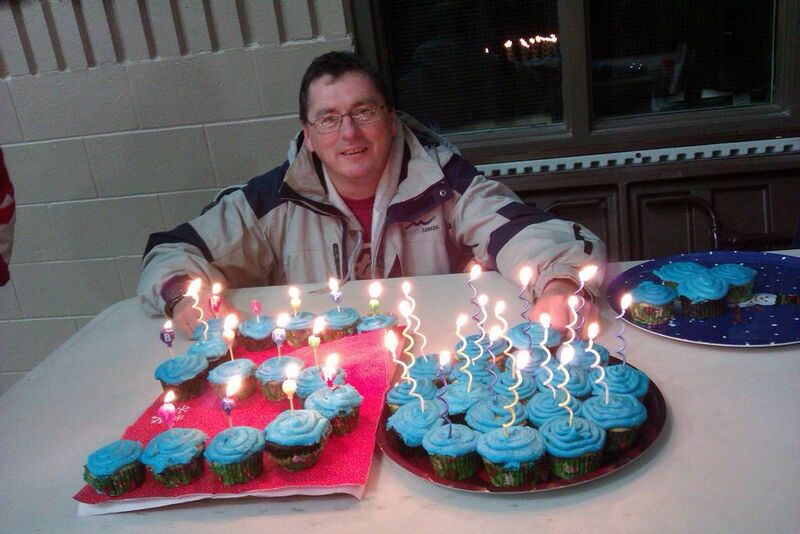 Prior to becoming a national team coach in Calgary he coached part-time with Montreal-International SSC for 4 years. He was the first Canadian to win a medal at the inaugural World Junior Short Track Championships (Seoul, KOREA; 1994, Silver 500 m) and he was a National and development team athlete for 5 years. The masters and some of the younger skaters have been enjoying an early Monday morning schedule this fall. Apart from having to get up early enough to be at the ice by 6:15 am we have all enjoyed this loosely organized session. We get perfect ice, at least one hour of skating, and a great start to the day. The focus is on conditioning with lots of laps for all. Currently we are supporting 12 skaters but more are welcome. The more we have the cheaper the ice. Currently our costs are running about $6.50 per person per session. We will be starting again on January 9th and running through to the end of March for every Monday morning. We also welcome occasional skaters who don’t want to commit to the full period. The cost for occasional skaters is $10.00 per session. If you are interested in joining this fun and hard working group comprised of all ages, please contact John Ambrose directly at trevelyn@ripnet.com. There has been some confusion lately with practice cancellations and time changes. We have reviewed our ice contract with the city and here is an update that shows the cancellations and early ice time for the rest of the year. This has been updated on the practice schedule page as well.